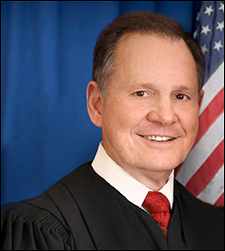 Aug. 17, 2017 — The pre-election polling proved accurate Tuesday, as Alabama former state Supreme Court Chief Justice Roy Moore placed first in the special Senate Republican primary, as predicted, and will advance to a Sept. 26 run-off election. The Trafalgar Group released the last poll for the special primary cycle. The survey (Aug. 12-13; 870 likely GOP primary voters) found Judge Moore holding 38 percent support, followed by appointed Sen. Luther Strange with 24 percent, and Rep. Mo Brooks (R-Huntsville) dropping back to 17.5 percent. The results were almost precise for Moore, understated Sen. Strange’s support, and slightly missed Brooks’ finish. With just over 417,000 individuals voting in the Republican primary Judge Moore captured 39 percent of the statewide Republican vote, enough to claim the first run-off position but a long way from securing a majority. Sen. 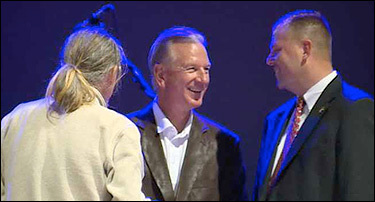 Strange easily took the second run-off slot with 33 percent finishing well ahead of the third place finisher, Congressman Brooks (20 percent). The Ted Cruz (R-TX) informal Obamacare funding filibuster is predicted to inflict political harm, but there is a myriad of opinion as to who will suffer the most severe consequences for their respective votes at the polling place, if anyone.